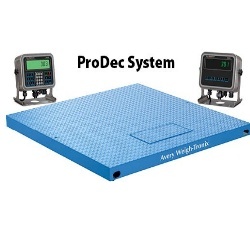 Avery Weigh-Tronix Deck and Indicator System incorporates either a 48" x 48" or 60" x 60" 5,000 lb ProDec Floor Scale with Avery Weigh-Tronix ABS or Stainless Steel ZM201 Indicator or an Aluminum or Stainless Steel ZM301 or ZM303 Weight Indicator. Factory calibrated and certificate of calibration. The ProDec Floor Scale is now available with the new ZM301 and ZM303 indicators or the ZM201 series indicators. The ProDec System comes in 48” x 48” and 60” x 60” sizes with 5,000 lb capacities. The ZM303 Indicator is offered with the ProDec System, in an aluminum and stainless steel IP69K enclosure with IBN display technology. The ZM301 comes in a stainless steel IP69K enclosure with IBN display technology. The basic ZM201 is available in a durable ABS plastic enclosure or stainless steel version. The Avery Weigh-Tronix Deck and Indicator System incorporates either a 48" x 48", 5000 lb or 60" x 60", 5,000 lb ProDec Floor Scale with an Avery Weigh-Tronix ABS or Stainless Steel ZM201 Weight Indicator or an Aluminum or Stainless Steel ZM301 or ZM303 Weight Indicator. The system includes a cable providing quick disconnect of both the indicator and the floor scale for fast, easy installation. 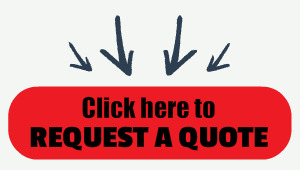 The system is factory calibrated and is provided with a certificate of calibration. Please refer to the ProDec Floor Scale and ZM201/ZM300 Series Weight Indicator Brochures and Specification sheets for more individual product information. * Note: On all decks with a width dimension of less than 60", two (2) lifting eyes may be ordered at no additional charge. Decks with a width dimension of 60" or more may be ordered with four (4) lifting eyes at no additional charge.